Q: When and where is the Walk? A: This year the Walk will take place on Saturday, February 2, 2019. It is a 2 km indoor walk taking place in the underground PATH. The starting location will be Royal Bank Plaza at Union Station, 200 Bay Street, at 8:30 am, and will finish at the Sheraton Centre Hotel at 123 Queen Street West. A: This year the Walk will start at Royal Bank Plaza at Union Station, 200 Bay Street. We strongly encourage taking public transit to Union Station. If you would like to drive and park, there is parking onsite at Royal Bank Plaza for a fee. At the conclusion of the Walk, there will be a complimentary shuttle bus, at the Sheraton Hotel going to Royal Bank Plaza, for those who parked at that location departing at 12:30 P.M.
Q: Where is coat check? A: There will be no coat check available at the start location, Royal Bank Plaza. There will be a complimentary coat check at the finish location, Sheraton Centre Toronto Hotel. Q: How do I get to the start location if I am staying over at the hotel Friday night? A: There will be two complimentary shuttle buses to take you to start location of the Walk at Royal Bank Plaza. The first shuttle bus will depart Sheraton Hotel at 8:15 A.M. and the second will depart at 8:45 A.M.
Q: Can my child register and fundraise if they are under 3 years of age? A: Yes, anyone of any age can register and fundraise for the Walk. Q: What if I don’t raise $100? 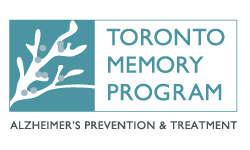 A: Our goal, through the fundraising efforts of our participants, is to help fund programs and services offered by the Alzheimer Society of Toronto. We are confident that each participant can raise $100 and are pleased to offer support/advice on exceeding your goal! Participants who fundraise will be eligible for incentive prizes. A: Yes. The Walk has many volunteers who choose to help either before or after they have participated in the actual Walk. Contact kberkelmans@alz.to to find out more. Q: Who will receive a tax receipt? A: Tax receipts will be issued for donation amounts for $20 and over. All other tax receipts will be issued upon request. To receive a tax receipt, the donor’s name and address must be complete and legible. Q: Can my family join and walk with my Organization's Team? A: Yes, family members can register and join your “Organizational Team.” “Family Teams” are families, friends, caregivers or anyone who has been touched by Alzheimer’s disease or dementia.